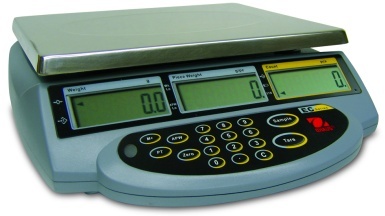 Ohaus EC Series Counting Scales are designed for fast, accurate operation at an economical price. Ideally suited for stocktaking, stores use, rentals and other counting applications, with an internal counting resolution of 1:600,000. Ohaus EC Counting Scales offer accuracy, durability and portability in one practical design. Models in this range include the EC3, EC6, EC15 and EC30.